One Man and A Brush offers the best Deck Staining in the Woodstock, GA area. Do you have a new deck that needs staining and sealing? Or do you have a deck on your property that has had its finish worn off over time? Is your deck looking old and faded? If so, you can easily have it restored with our deck staining and sealing services. We can make your deck look beautiful once more, but most of all your deck will last years longer when kept properly stained and sealed. Whether it’s a pool side deck, a second story deck, a front or back patio deck, or a deck attached to your workshop, we can help you bring it back to a beautiful stained and protected finish. If you’re looking for an affordable, high quality Deck Staining service contractor, you have come to the right place. 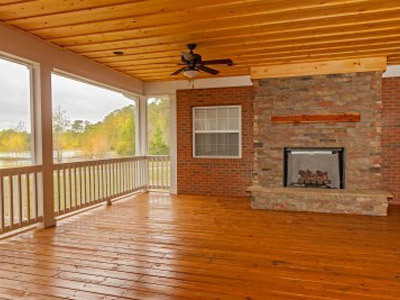 One Man and A Brush has been serving the Woodstock and Metro-Atlanta area since 2005 with high quality, affordable painting and home improvement services that include professional deck staining and sealing. As local painting professionals, we provide full services for all our Woodstock customers. If your deck needs a little repair, our experienced carpenters can handle that for you too. Having a company who can handle whatever comes along will be advantageous to you when you don’t have to worry about hiring out different professionals to handle each aspect of the project. Our experienced contractors can do it all for you. Your deck will be safely restored to it’s original beauty. Our Woodstock Painters can also help you with your deck cleaning needs with our professional pressure washing services. Many times after pressure washing, we may find that the stain is still in good shape on your deck so all that’s needed is to re-seal the wood again. 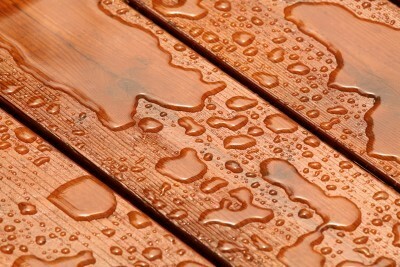 A proper pressure washing will get your deck wood thoroughly cleaned. The difference a professional pressure washing can make can be astounding. One Man and A Brush provides affordable, high quality deck staining and restoration services for your Woodstock area home. With our deck staining service, we’ll first visit your home to give you a free estimate. Even though our deck staining services are of the highest quality, they are very affordable. We can help you bring your deck back to life again with a beautiful new quality stain and finish that will last for years. Are you ready to start enjoying your back yard or outdoor living space again? Are you ready to invite friends and family over for some outdoor fun? If so, you’ll have a lot to be proud of if you choose our professional deck staining and sealing services at One Man and A Brush! Does pollen season in Georgia affect exterior painting or deck staining? If you are looking for Deck Staining, Deck Sealing or Deck Finishing in the Woodstock, GA area then please call One Man and A Brush at 678-368-5115 or complete our online request form.